Articles for October 2012 Year » SoftLab-Portable.com - Portable Soft! An image viewer designed for photographers, with the speed and features needed to help you review digital photos faster than ever before. Instant histogram and EXIF shooting data. Instant Adobe XMP -compatible rating/tagging. Instant copy/move of "keepers" to a preset folder. Supports most image formats, including Adobe DNG. Supports RAW formats from 300+ camera models. Fully color-managed, supports ICC v2 and v4 profiles. FastPictureViewer is used all around the world, in 12 languages, by professional photographers, photo studios, stock photo agencies, photo editors, minilabs and print shops for accurate color-managed photo culling and fast review of RAW images, TIFFs, DNGs, JPGs and more. 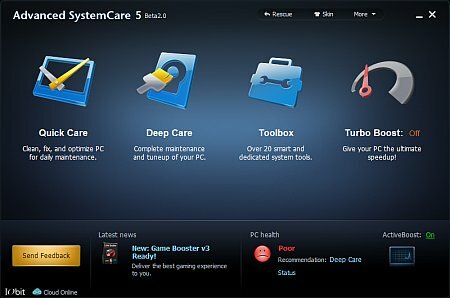 Advanced SystemCare scans more, repairs more, cleans more, and optimizes more for your computer than ever before. Enjoy That New PC Feeling Again. Designed for the latest Windows system environment. Gives your PC better speed and reliability. Powerful Hard Drive Defragmentation. High-speed Disk Defrag function to defragment hard drives up to 10 times faster than other defragmentation tools. Registry Clean and Optimization. Safely cleans registry junk, compacts registry bloats and defragment the whole registry for maximum performance. GetDataBack is a software for hard drives, floppy drives, Jaz drives, Zip drives, Memory Sticks, Smart Media, Compact Flash, Secure Digital and Multi Media Cards only. GetDataBack is searching your hard drive to find one of the FAT (File Allocation Table). If no FAT is found GetDataBack will attempt the recovery without this information. In this case the possibility of bringing fragmented parts from all over the drive together gets smaller. Fragmentation in NTFS should not effect the results of the recovery. Information about a file's allocation is stored in a MFT entry (other than with a FAT file system, where this information is stored in the FAT). If the file shows up in the recovery tree, it should be recoverable. If it does not contain the expected data, you should review your selection in Step 2 of the software. CheMax for Consoles (CheMax FC) is largest know cheats database for console games. It contains cheat codes, level codes, easter eggs and game tricks for 32 types of game consoles. Total number of listed games is 8800. 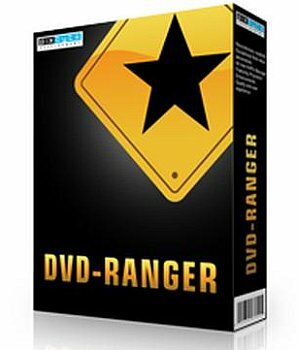 DVD-Ranger is the complete solution for DVD copying and converting. The program includes all standard copying and converting tools, as well as a variety of aditional functions and modules that can be used to enhance your copy experience. DVD-Ranger easily overcomes the flaws of our competitor's classic burning applications, and represents a revolutionary solution supported by our own design innovations: The HotFix Manager utility and the Physxtech Enhancement, both based on our super-speed, high performance copying algorithm. Easy CD-DA Extractor, the Swiss Army Knife Of Digital Audio is ALL-IN-ONE music converter that copies Audio CDs, converts audio files from one format to another, edits metadata of audio files and can burn Audio CD, MP3 CD & DVD, and Data CD & DVD. 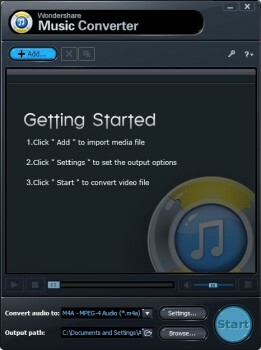 Supports all popular audio file formats such as 3G2, 3GP, MP1, MP2, MP3, Windows Media Audio (WMA), Ogg Vorbis (OGG), MP4, M4A (AAC and Apple Lossless), AAC, aacPlus (HE-AAC, AAC+, HE-AAC+PS, eAAC+), FLAC, Musepack (MPC), WavPack (WV), WAV, AIFF, Monkey's Audio (APE), CUE and M3U.